Record rainfall and flooding from the Carolinas up into Canada has resulted in vehicles all over the East Coast being submerged in water. The depth of flooding and length of time cars are left under water has the potential to increase the number of vehicles damaged beyond repair. Now more than ever, it is essential that NMVTIS be fully implemented and the underlying statute enforced to help prevent the sale of these flood-damaged vehicles to the unknowing consumer. NMVTIS, a national electronic system that provides consumers with valuable information about a vehicle’s condition and history, must be fully enforced so that it can play its crucial role in helping to ensure that these flood-damaged vehicles are not sold to unsuspecting consumers in the used-car market. “According to the Department of Justice (DOJ), after Hurricane Katrina in 2005, law enforcement and insurance crime experts reported truckloads of flooded vehicles being taken out of Louisiana to other states where they were dried out, cleaned, and sold to unsuspecting consumers in other states,” said Michael E. Wilson, CEO of ARA. “NMVTIS must be fully implemented and utilized to prevent this activity from happening again,” added Wilson. ARA believes that such fraudulent and unsafe practices can only be stopped if all states participate fully in NMVTIS and all “individuals” and “entities” that are required to report to the system are held accountable. “Regrettably, DOJ has limited resources to do this. ARA has urged Congress time and time again to intercede and appropriate sufficient resources to DOJ to implement the program, increase state participation, and efficiently enforce violations. Only with sufficient resources can DOJ and the appropriate state law enforcement entities target all businesses/individuals who are operating under the radar and force them to fulfill their obligations under the statute,” Wilson asserts. 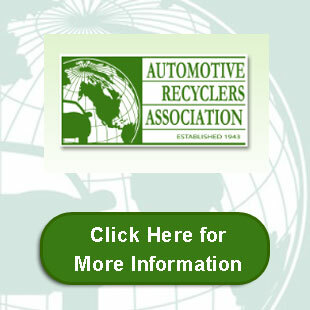 Since 1943, the Automotive Recyclers Association (ARA) represents an industry dedicated to the efficient removal and reuse of “green” automotive parts, and the proper recycling of inoperable motor vehicles. ARA represents the interests of over 4,500 auto recycling facilities in the United States and fourteen other countries around the world. With programs such as the Certified Automotive Recycler Program (CAR), Green Recycled Parts, and other partnerships, ARA members continue to provide consumers with quality, low-cost alternatives for vehicle replacement parts, while preserving our environment for a “greener” tomorrow. 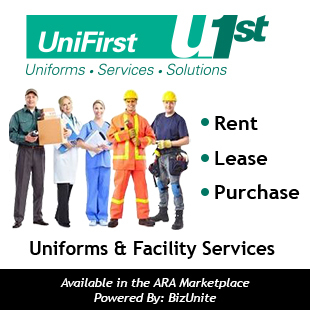 To learn more about the Association, visit ARA’s Home Page at www.a-r-a.org or call (571) 208-0428. Copyright 2019 New Mexico Automotive Recyclers Association All Rights Reserved.